Please indicate your desired initial/stone choices, here. 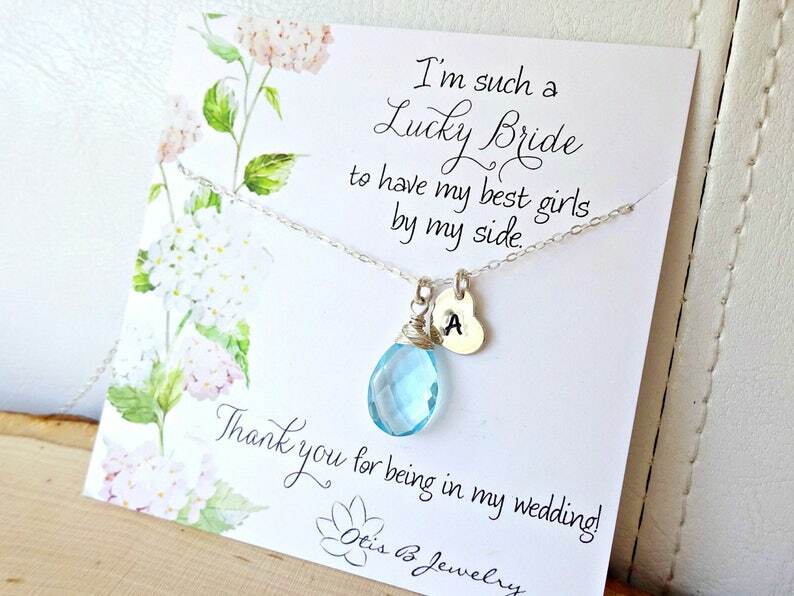 .Shopping for your bridal party? Enjoy price breaks for bulk orders! Please enter the coupon code in checkout. This complete gift package is a unique way to say thank you to the ladies who've stood up for you on the most important day of your life! 2) Type the initial/stone selection for each necklace in the message to seller box in checkout. 3) Please also use the message to seller space to notate any card requests you have. There are various card options shown in image Four of this listing. 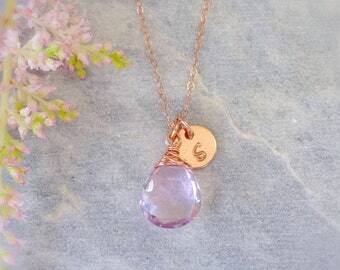 This necklace is 100% sterling silver or 14K gold fill depending upon your finish selection and consists of a hand stamped heart shaped initial charm, customized with the letter of your choice and a hand wrapped gemstone of your choice. Both metal finishes are nickel free and safe for all wearers. See more information on gold filled jewelry in our FAQ's list below. Chain lengths are available from 15", and lengths Up to 20" are no additional charge. Please select your favorite length from the drop down menu provided. A lobster clasp is flanked by tiny freshwater pearls for an elegant finishing touch.